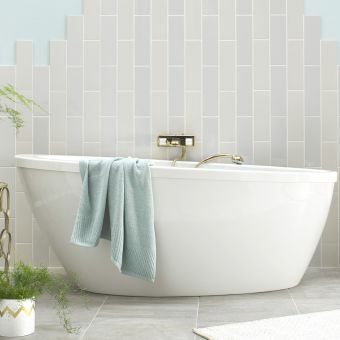 With an imposing style and an inherent beauty, the Bayswater Courtnell Traditional Back to Wall Bath features a new approach to bathroom looks that will immediately draw the eye to its sensual good looks. 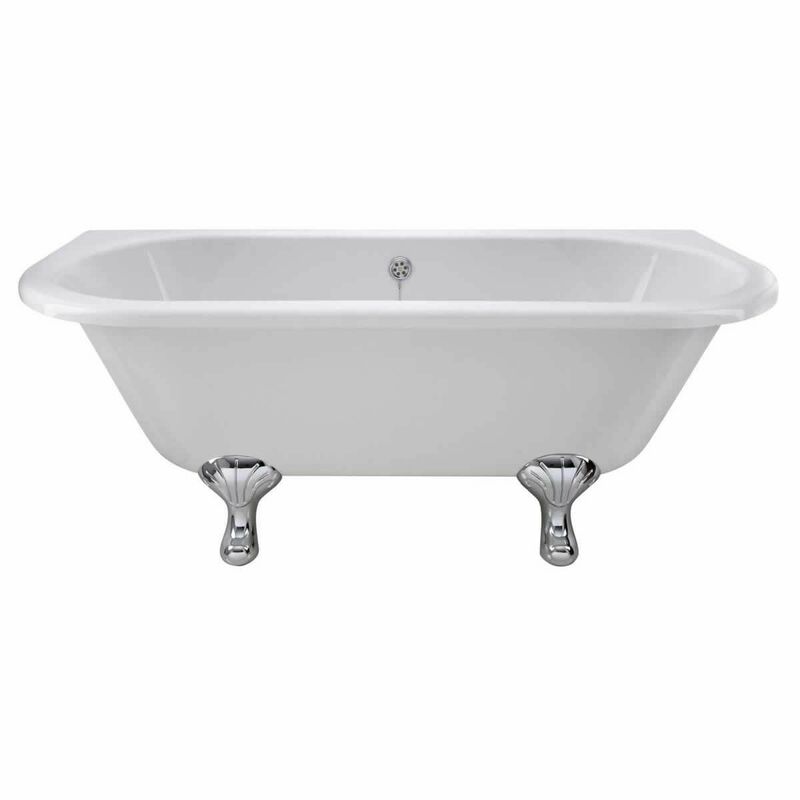 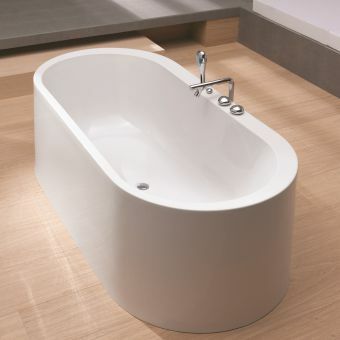 As well as being a practical bathing centre at 1690mm wide and 750mm deep, it can be used as a double ended bath for a shared bathing experience if you want. 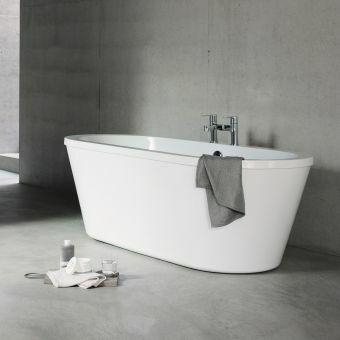 The main feature is the extended back which sits flat against the wall giving it a freestanding appeal but at the same time, allowing you to use wall mounted bath taps instead of deck mounted. 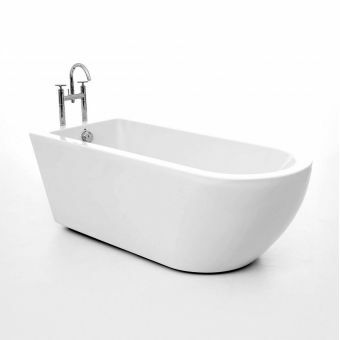 The practical benefit of this is to keep the top of the bath clear from obstructions giving it a cleaner, more harmonious appearance. 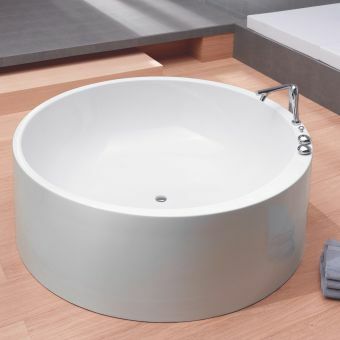 Three different styles of both feet are on offer and come in a set of four to hold the bath off the floor allowing space for the waste and overflow. 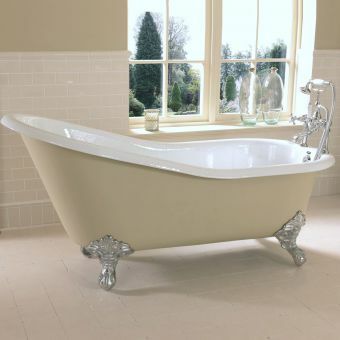 Made from tough 14mm thick acrylic Lucite, this bath stays warm for much longer than normal baths and is well worth considering if you have opted for the richness and flamboyance of the Victorian era.